In light of the global outcry against disgraced researcher He Jiankui, China’s Vice-Minister of Science and Technology has confirmed his ministry has ordered a halt to the condemned human gene-editing work. 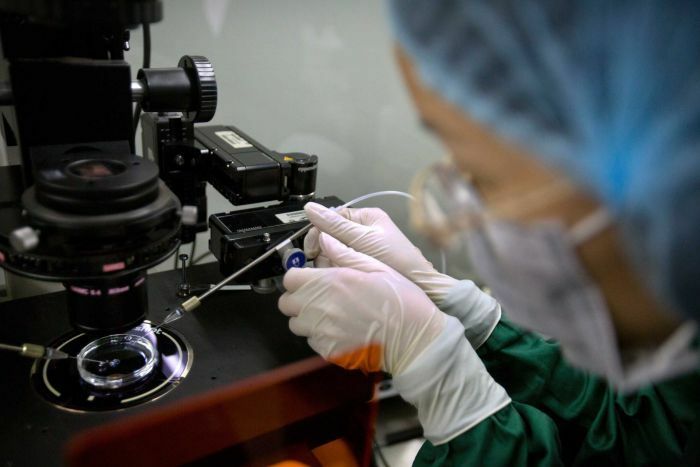 The Vice-Minister, Xu Nanping, said he strongly opposed the “shocking and unacceptable” efforts that reportedly produced gene-edited twin girls born earlier this month — the first gene-edited humans. “The gene-edited babies reported by the media obviously violates China’s relevant laws and regulations, it also breaks the ethical and moral bottomline held by the academic community, which is shocking and unacceptable,” Mr Xu said. He called the team’s actions illegal and unacceptable and said an investigation had been ordered to punish the researchers, but made no mention of specific actions taken. The researcher, an associate professor at Southern University of Science and Technology in Shenzhen, claimed to have altered the DNA of the twins to try to make them resistant to infection with HIV — a precursor to the AIDS virus — an action that he said he was “proud” of. Associate Professor He later revealed “another potential pregnancy” of a gene-edited embryo was in its early stages. The revelation shone a light on a new technology called CRISPR-Cas9, a tool that allows researchers to replace faulty genes with new ones, but research is not fully clear on its effect on humans. After Mr He’s claims were broadcast globally, its inventor called for a moratorium on the use of the tool. This tool remains untested, and global condemnation fell on Mr He as his actions flied in the face of international consensus that resolved to withhold its use until further testing determined its full effects on humans. For his peers at home, his actions dealt a significant blow to the perceptions of China’s scientific research community. “The nature of this incident is extremely bad, which has seriously damaged the image and interests of the Chinese scientific and technological community,” said Huai Jinpen, party secretary of the China Association for Science and Technology. “We express our indignation and strong condemnation of their practice, which challenges both scientific ethics and the scientific spirit,” he said. Mainstream scientists have condemned the experiment, and universities and government groups continue to investigate.